How to Help Your Gifted Child: A free e-book! If you’ve ever worried you’re going to “break” your gifted kid, have I got a treat for you. I’m often asked by parents how they can help their gifted child. Finally, I have an easy, free answer! 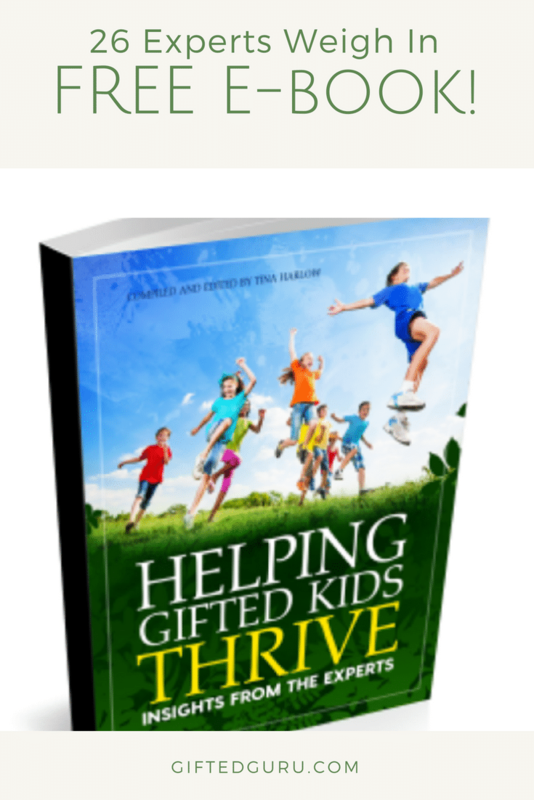 I’m sharing a new free ebook written specifically for parents of gifted children entitled Helping Gifted Kids Thrive: Insights From The Experts. I think it’s truly terrific! In the interest of full disclosure, I’m one of the experts interviewed, so I may be biased. I loved reading what my colleagues thought, and I think you’ll find it really valuable, too. Special shout out to Tina Harlow for the countless hours she spent interviewing and editing. Whew! I think it was worth it, and I hope you’ll agree. If you find it useful, please share it with others! Again, you can get your free copy here. Thank you for the ebook. I look forward to reading it.